Do you want to know why Veterans Day is on this date? It was November the 11th, 1918, at the 11th hour, that the armistice took effect and the guns of the Western Front fell silent. World War I, the Great War, the "war to end all wars", had drawn to a close. Veterans Day - a day which has come to honor all American veterans - was originally a day set aside to honor the service of the millions of soldiers from the United States who went "Over There" to fight in the trenches of Europe. 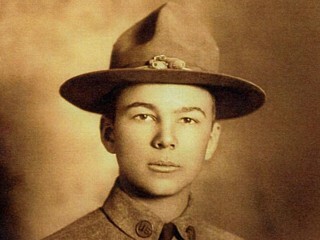 Frank Buckles, the last surviving "doughboy", passed away in February of this year. He was 110 years old.